Here is such an adorable way to provide an extra measure of security for your little one when you are out and about, especially in a crowded area. 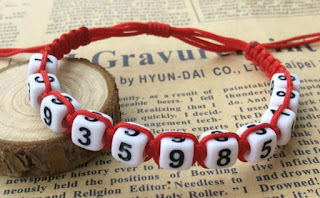 Make a phone number bracelet for your child(ren), using Mom, Dad or other family member's cell phone number, with the area code. 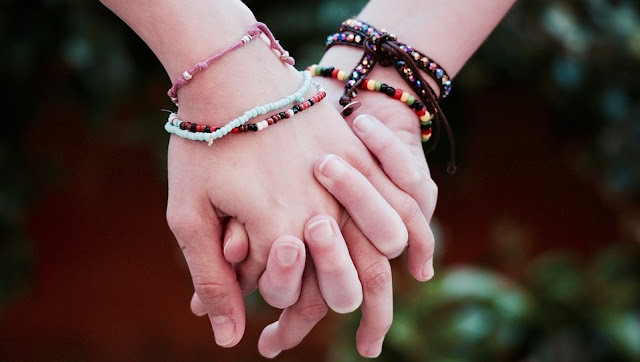 Make the bracelet to fit snugly on your little one's wrist, or as an anklet by younger children. Perfect for children under 10 years old, or handicapped children, or anyone who might not remember their parent or guardian's phone number in an emergency, should they get lost or separated from you. A wonderful idea for anyone vulnerable. Use it when traveling with your little ones in airports, at amusement parks, beach days, or on school field trips. For field trips, sleep-overs, shopping trips, festivals, or day trips - lets people know who to contact if your child is lost. Peace of mind on vacations such as Disneyland or Lego Land. Check out Amazon for number beads to make your own!